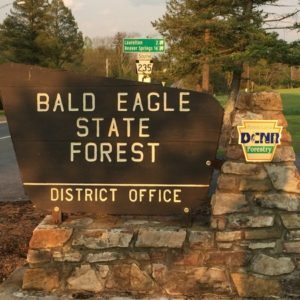 We just received this statement from DCNR concerning the Dual Sport and OHV trail systems in Bald Eagle SF. 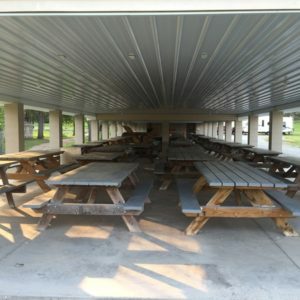 “After lots of thought and concerns regarding negative trail impact and tread damage during the expected mild winter riding season, the District is announcing the following statement today on its website and Facebook page. 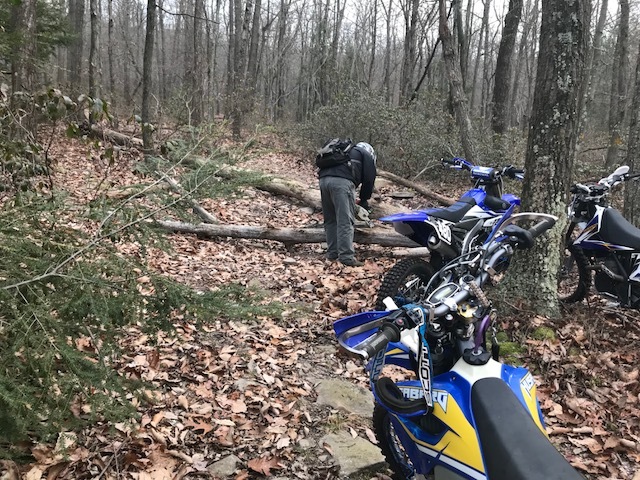 To all riders in the bald eagle state forest, please be mindful to which trails are legal to ride while out on the dual sport trail system. 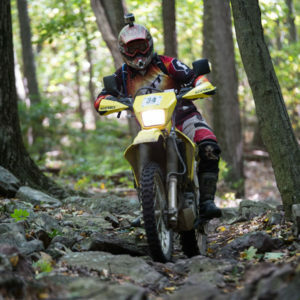 Your bike must be street legal and insured to ride on the trail system. The dual sport trail system is marked with purple blazes and purple diamonds at key intersections. 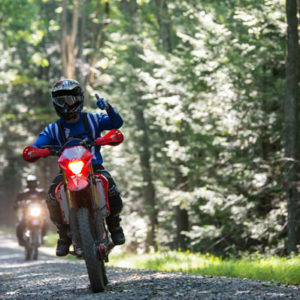 If you think you are on a trail you are not supposed to be on with a motorcycle please stop and turn around. 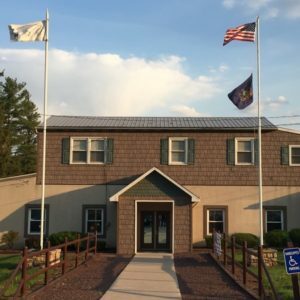 If you have questions about the trails and need clarification please stop by the Bald Eagle Forestry Office at the intersection of Rt. 45 and Rt. 235. They have maps for the trail system in the lobby, and the staff can answer questions about the trail system. 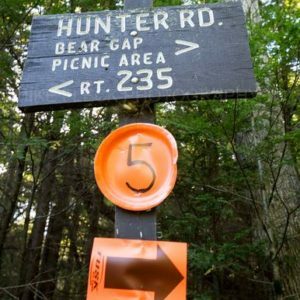 The future of this trail system depends on the riders who use it. 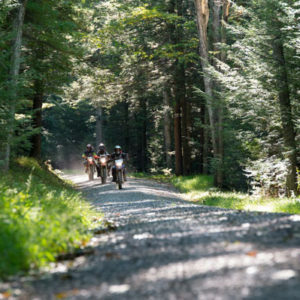 The other forest users and surrounding land owners are quick to point out to DCNR when motorcycles are in areas that they don’t belong. 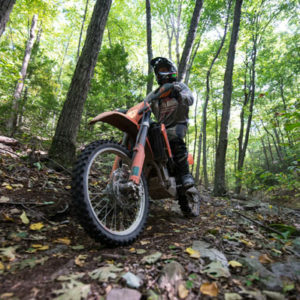 Spread the word, as educating as many riders as we can is the only way to ensure we don’t lose the right to ride these trails. Some guys just can’t wait for spring! The boys got some new saws and they were just itchin to to use them. 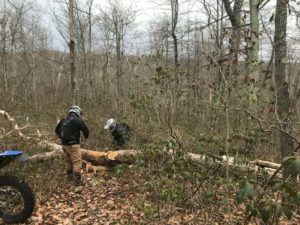 The trail bosses are already hard at work this year riding and clearing the trail system of downed trees. 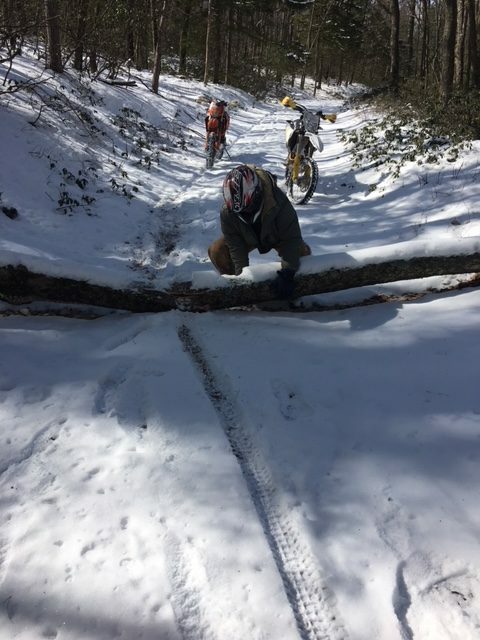 The last few Nor’Easters have not been kind to the trail system. 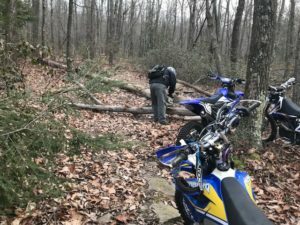 There are many downed trees on all the trails. I’m sure we will have many more come down as the storms of spring wind up. 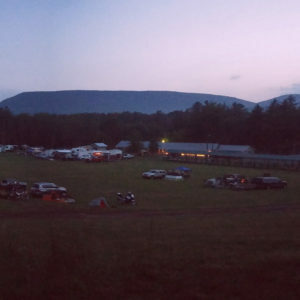 PaTRA has already logged 36 man hours on the trail this year, AMAZING! 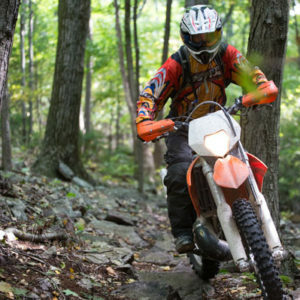 Big thanks to all the guys and gals who have volunteered and dedicated their time to work on the trails! Overall the trail system looks really good. 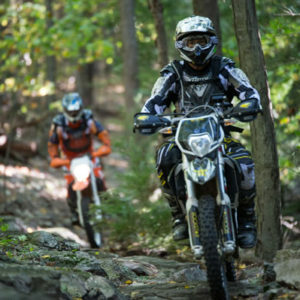 Remember the trail system closes again April 1st and will reopen for the summer riding season on May 25th. 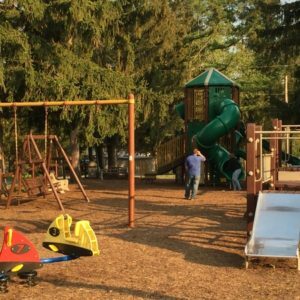 We will post trail work dates and PaTRA activities to the site when they become available. 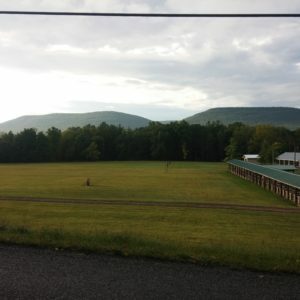 Posted in News	| Comments Off on Spring Fever! It gives us great pleasure to announce that PATRA is the recipient of the 2018 Friend of the AMA award! 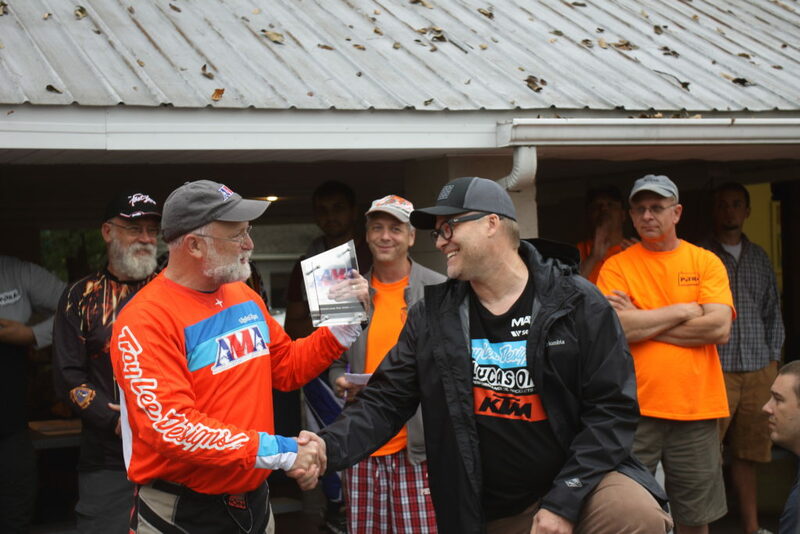 This award is given to individuals/groups that have supported the AMA’s mission of promoting motorcycling. 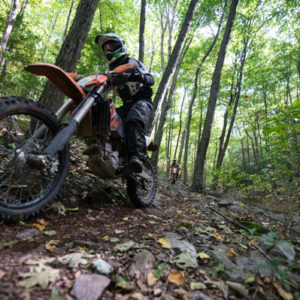 The Pennsylvania Trail Riders Association dedicates its time and effort to sponsoring four annual dual sport events in the state. 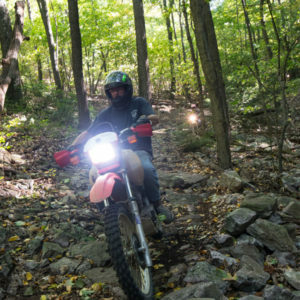 PATRA’s mission is to ensure that the Seven Mountains and Shade Mountain motorcycle trails remain a legal trail system. 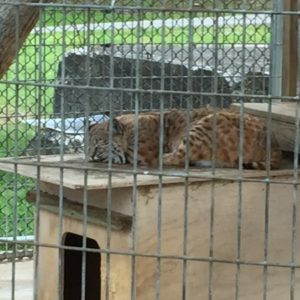 Their work requires close coordination with the Pennsylvania Department of Conservation and Natural Resources, state forestry officials, the state legislature and recreational, environmental and community stakeholders. Brrr…. Its Cold out there! Happy new year! We hope you all had a great year. 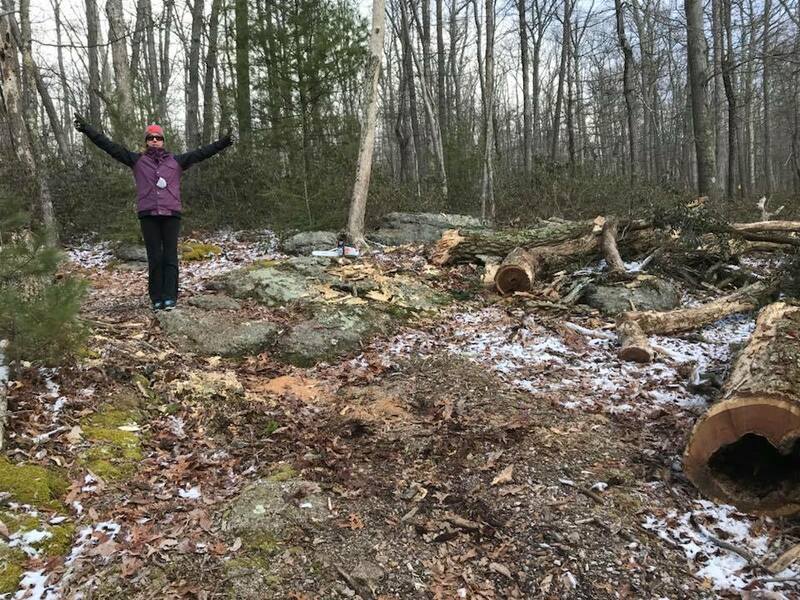 The past year for PaTRA has been a good one, with new volunteer faces and feet on the ground helping support the trail system in Bald Eagle State Forest. 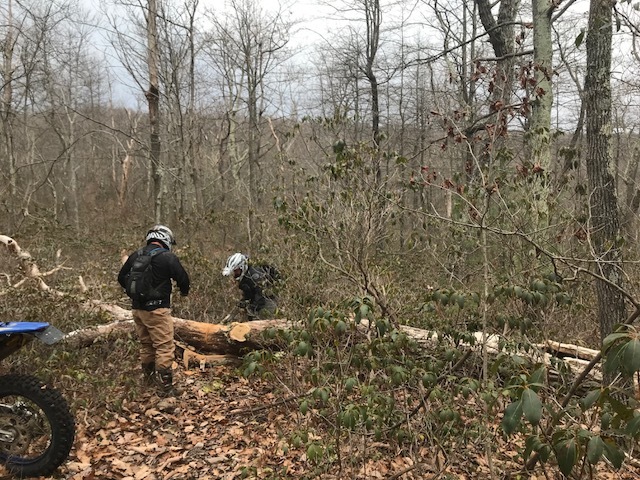 Our volunteers were already hard at work this year hiking the single track with representatives from DCNR and The Bald Eagle Forestry Department. They evaluated most of the single track in the system so we can start to plan our maintenance for the 2018 year. The air may be frigid and the trails covered in snow but the work of volunteers never ends. 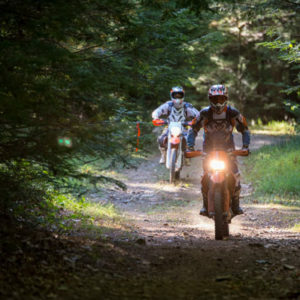 We’re already in the early stages of planning for the 7 Mtns Dual Sport. 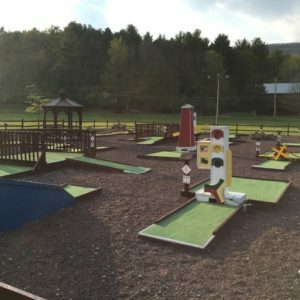 I know some are already dreaming of warm summer days to come. 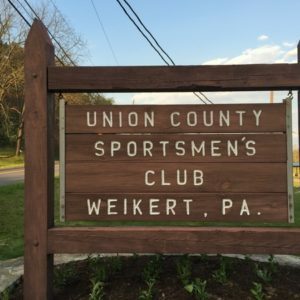 The 2018 event is scheduled for early September at the Union County Sportmens Club like years past. 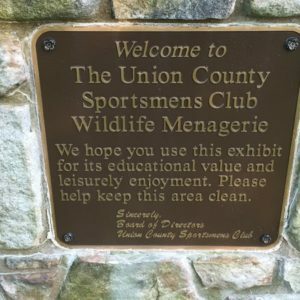 The Sportsmens Club was once again impressed with our event, and at the courteous and polite riders who attended! 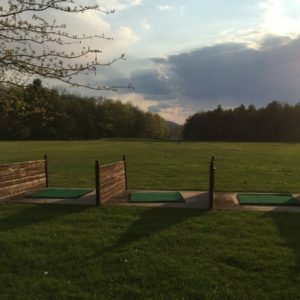 Please take time to fill out the short survey below to let us know which day you prefer. 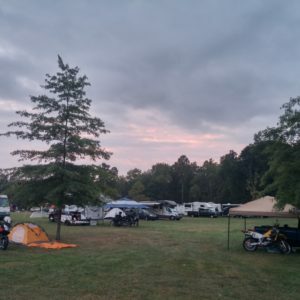 Posted in News	| Comments Off on Brrr…. Its Cold out there! 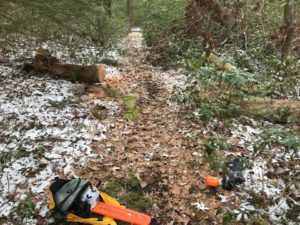 A hard working and dedicated crew cleared trails of fallen timber in December. 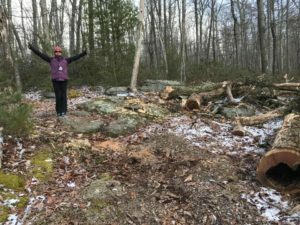 Volunteers like this crew is what keeps the trails open! 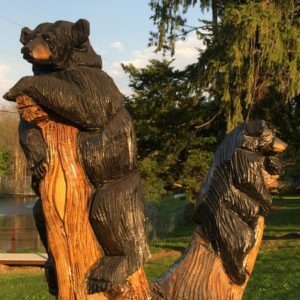 If you want to become part of the future of this trail system please contact us and we will let you know how you can help. 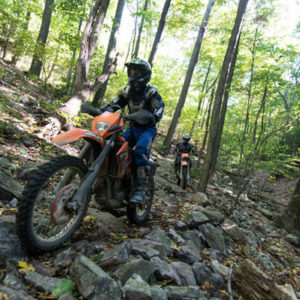 The licensed Dual Sport Motorcycle trails on State Forest Lands are open to motorcycles from the Friday before memorial day through the last full weekend in September (summer season) AND From the day following the last day of regular or extended antlerless deer season as established by the Game Commission through the following April 1 (winter season).